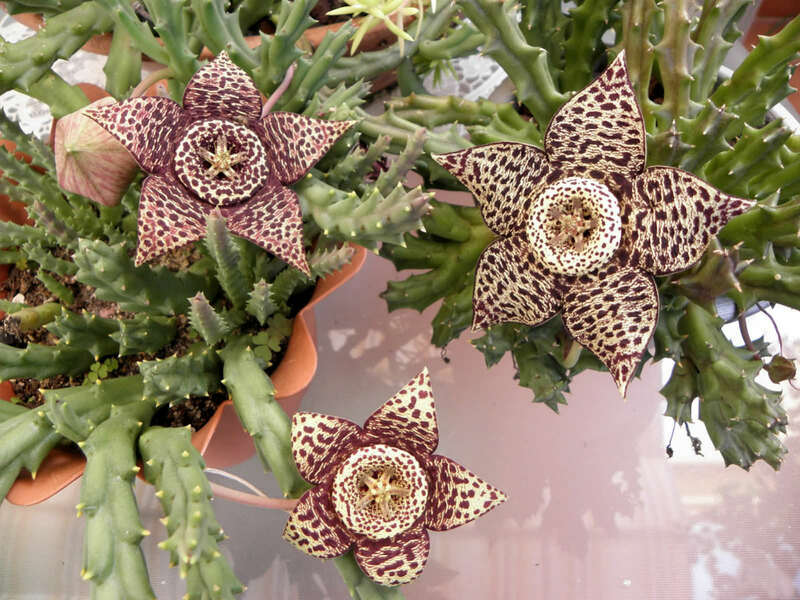 Orbea variegata is a leafless, glabrous, clump-forming succulent perennial. 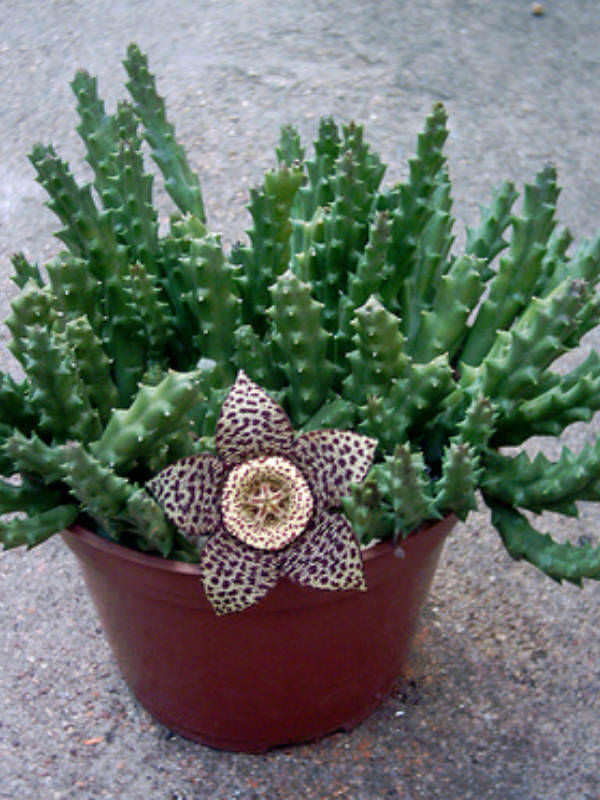 The four-angled stems are usually prominently sharp-toothed, with a soft tip, grey green mottled purple in full sun. 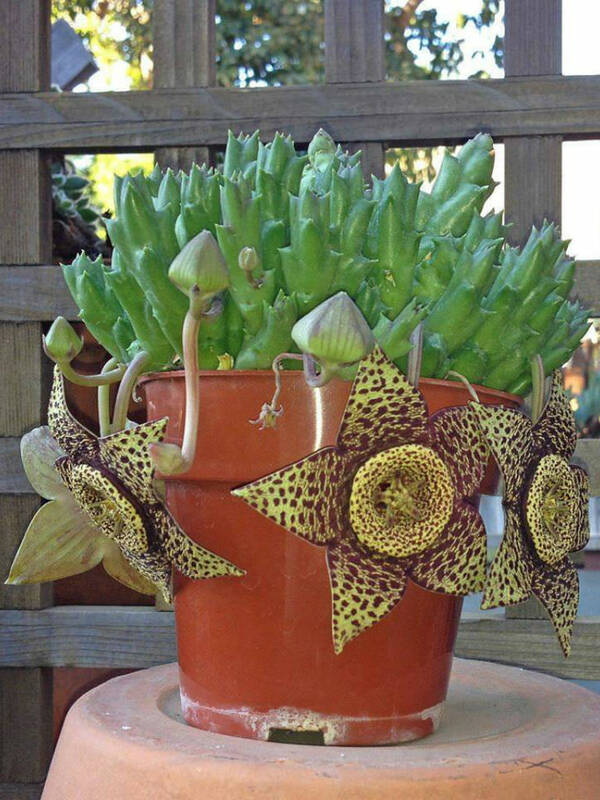 Each stem can reach over 10 inches (25 cm). 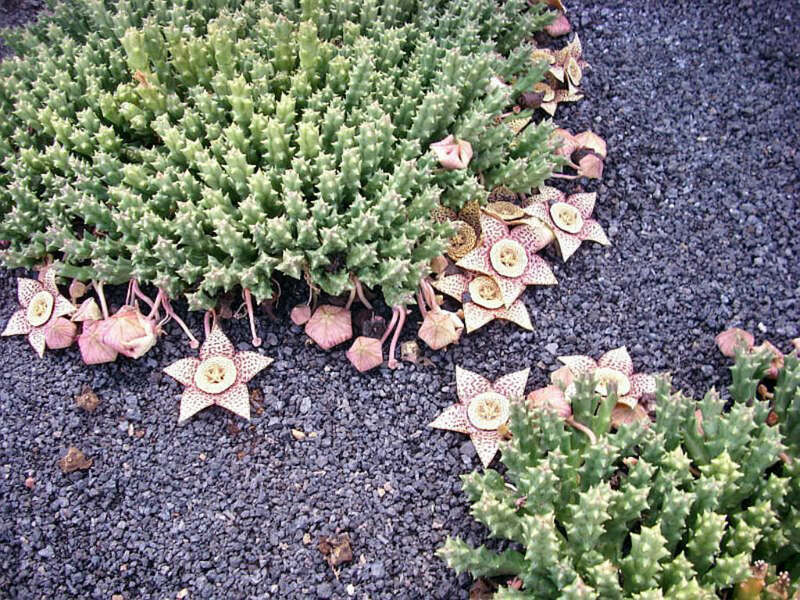 Starfish-like flower, corolla up to 3 inches (7.5 cm) across, transversely ridged, pale greenish-yellow with dark purple-brown spots mostly in 6 – 7 rows or sometimes irregularly scattered, annulus pentagonal, up to 1 inch (2.5 cm) across, pale yellow with small dots, lobes of corona yellow, dusted or spotted purple. Smooth, cylindrical fruits, blotched and dotted purple, up to 5 inches (12.5 cm) long. Water sparingly, allowing the soil dry out between waterings and feed the plants during the active growing seasons. Keep almost dry in the winter but water sparingly occasionally to prevent wrinkling. 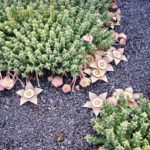 As this plant comes from a winter rainfall area, it should be given a rest period with reduced watering during the summer months. Soil should be well drained and rich in organic matter. It prefer a well-drained, sandy medium consisting of equal parts of washed river sand, potting soil and topsoil. 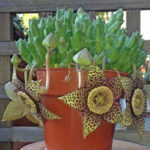 Try to emulate its natural habitat, placing it so that it is protected from the sun during the hottest part of the day. 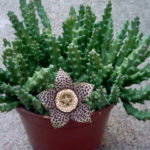 This plant prefer early morning or late afternoon sun. When grown as an ornamental plant in temperate zones it requires protection, as it does not tolerate freezing temperatures.